Castigation for admitting mistake is really unfair. Referees are damned if they do and damned if they don’t. Need proof? Just look at the fall-out from refs’ chief Mike Riley’s apology to West Brom for the controversial penalty awarded against them at Chelsea a few weeks back. I say controversial, but let’s be honest, it was never a penalty in a million years and it robbed West Brom of a famous victory. The referee on the day, Andre Marriner, made a mistake. That much is obvious. So, for me, it’s only right that his boss apologised to West Brom. It’s a progressive approach for which Mike Riley should be congratulated, but with Jose Mourinho on the scene, that was never going to be likely. The Portuguese has filleted Riley for saying sorry, adding yet another chapter of criticism to a story that was already pretty unpleasant. A ref was condemned for the original mistake, his boss tried to make amends, then he was condemned too! Is this really what we want to see happening? 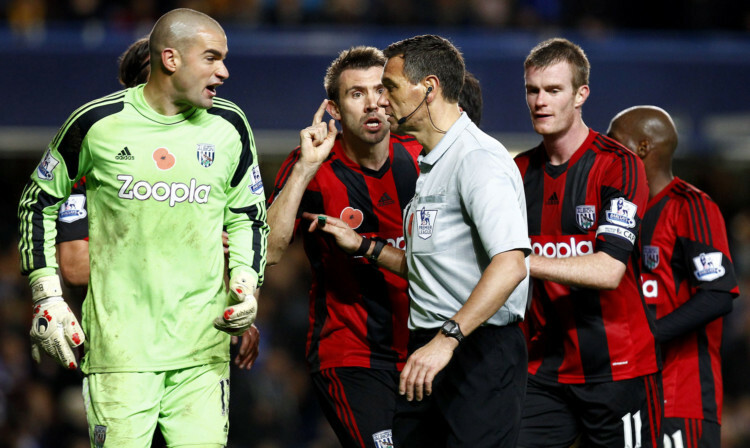 For years players and managers have spoken about how referees should be more open and more publicly accountable. Mike Riley’s decision to apologise was a step in the right direction as far as that’s concerned a sign that referees have listened, considered their options and agreed that better communication is necessary. For him to be castigated for admitting a mistake was made is seriously unfair, and it’s likely to set us back years. Don’t get me wrong, I understand Jose’s desire to protect his team, but he’s not daft, he knows his team benefited from the mistake in question. The worry he has expressed is that in apologising, Mike Riley has set a precedent that could lead to apologies being dished out every week, and I understand that, too. It would be massively time consuming for a start and I can’t imagine our refs would cope too well with being undermined every week. But, for me, there’s a simple solution to all of this and I can’t believe the football authorities aren’t desperately trying to make it happen. It’s simple a TV screen at the side of the pitch, three guys sitting watching it, and majority rules. Penalty or no penalty? You’ll have a decision in seconds. Some people will say we can’t afford the delay, that one of football’s biggest assets is its non-stop nature, but that’s nonsense. A couple of seconds is nothing and it will solve so many problems. Andre Marriner wouldn’t have made the mistake, he wouldn’t have been criticised, Mike Riley wouldn’t have had to apologise, and he wouldn’t have been slaughtered for doing so. For me, it’s a no brainer. Referees win, players win, managers win and, most importantly, football wins.